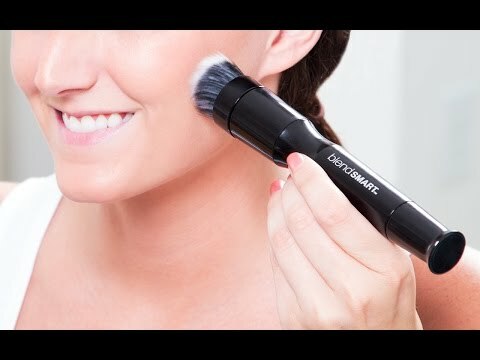 This rotating makeup brush is engineered to give you more coverage and control with less effort, foundation, and time. 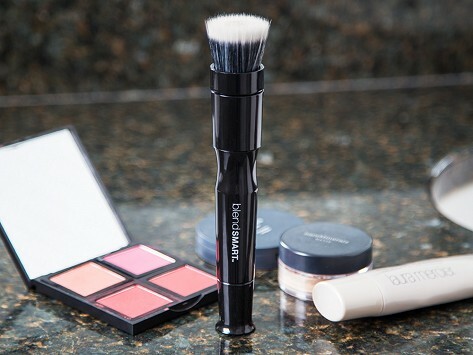 The interchangeable head works with liquid as well as powder foundation, rotating three times per second to give you a smooth, streak-free finish. Get professional-grade results without leaving home. Weight: Handle: 0.15 lb. ; Head: 0.07 lb. All i know is that my daughter LOVES it! And that's all that matters to me! I bought this for my daughter for Christmas and she LOVES it!!!! I'm ordering one for me as well--can't wait! I have been using this brush, which I initially thought was a gimmick for about 3 weeks now. How wonderfully it blends! It does what it says it does and I love it! There is no blend line to be found and it produces beautiful and professional results. I would buy this again. No kidding...if you wear make-up, it is a great tool!! !